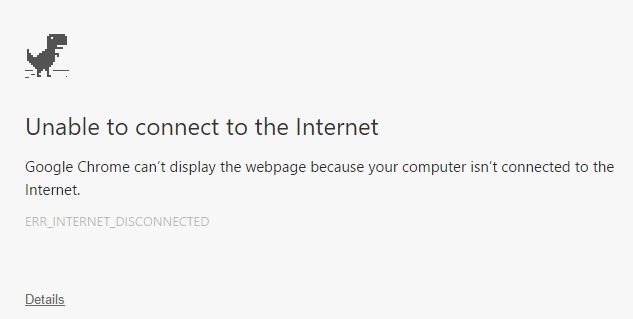 Have problem with your internet connection? When your computer wont connects to internet then your chrome browser displays a dinosaur picture. So now what, no internet and you get bored. Just press the space bar the dino stats to run. 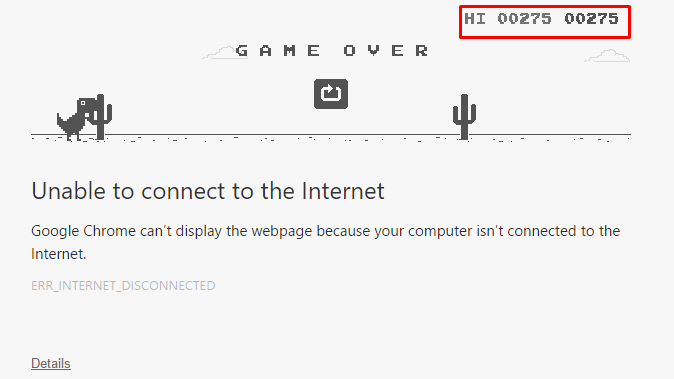 Help the dino from sprints in its path by pressing space bar. Now watch for your score, can you beat my score? Its just a mere score. 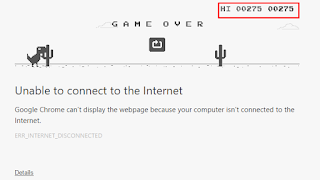 This small game inside chrome is designed to pass time till your internet connection gets okay. On android phones just touch the screen to activate the game.